Ontario Premier Doug Ford talks as though Sarnia’s proposed oversized load corridor deserves provincial funding. “I think (the project) is extremely important to get trade and commerce moving,” he told reporters during a swing through the city. 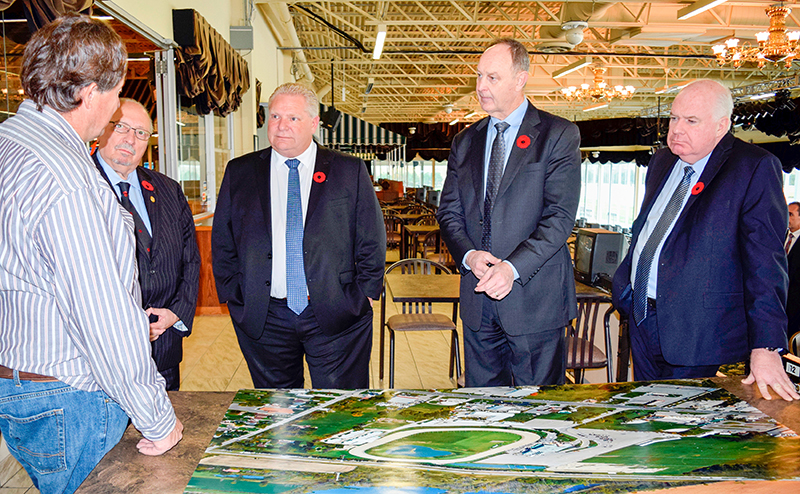 Later, after learning more about the $12-million project, Ford told local business leaders a request for $6 million to $8 million seemed “quite reasonable,” according to Rick Perdeaux, chairman of the Sarnia-Lambton Industrial Alliance (SLIA). Perdeaux and about a dozen officials held roundtable discussions with the premier at the Quality Inn on Nov. 2, educating him about the benefits an oversized load corridor could bring Sarnia-Lambton and Ontario. Similar meetings were held with former premier Kathleen Wynne only to have funding applications rejected by the Liberals, said Perdeaux. He’s optimistic a Conservative government will now come through. “I showed him (Ford) photos of oversized modules and why we need a corridor designed to transport them,” Perdeaux said. “He seemed surprised at the minimal amount of money we need for something that would be very beneficial to the community and make our companies more competitive. Perdeaux credited local MPP Bob Bailey with co-ordinating the meeting. Bailey, Jim Wilson, the Minister of Economic Development, Job Creation & Trade, and John Yakabuski, Minister of Transportation, joined the premier. 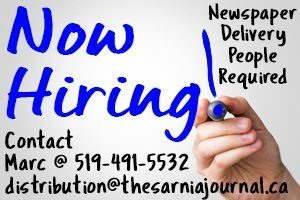 Local leaders have lobbied for years for senior government funding to create a 27-kilometre route allowing easier movement of large vessels, modules and tanks from local manufacturers to Sarnia Harbour. Proponents say it could generate thousand of jobs and pump millions into the local economy. Sarnia, St. Clair Township, Lambton County and SLIA have pledged about $6 million toward the $12 million cost. The premier seemed confused about the actual amount pledged locally, but Perdeaux said the funding was clarified during the private meeting and he’s satisfied the premier understands the concept and its economic ramifications. The province is spending $106,700 on the signs at 18 locations. Ford, Wilson, Yakabuski and Bailey also stopped at Hiawatha Horse Park to meet owner Jim Henderson and discuss the reinstatement of slot machines at the racetrack. In about one month, 150 slots will be installed at Hiawatha after the Ford government reversed a Liberal decision that shut Hiawatha Slots in 2012. Bailey announced the move two weeks ago but Ford said he wanted to tour Henderson’s operation and will return “to cut the ribbon” when the slots open. Hiawatha once had 450 slot machines that generated revenue for Henderson, the horsemen, province and the city. Henderson said he won’t share in the slots revenue this time but expects the new machines will attract more people to the track. Larger crowds mean more wagering and bigger purses, he said.